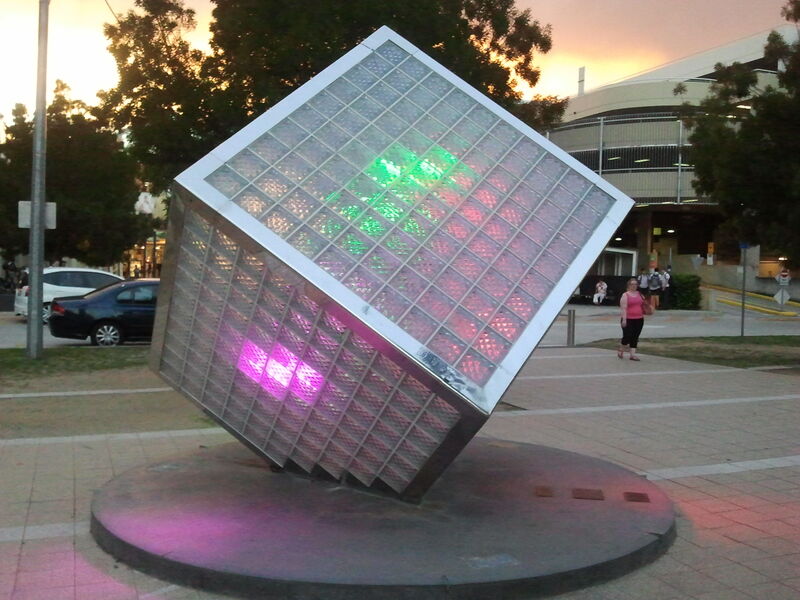 The Illumicube, presented to the people of Canberra in 1988, is a public sculpture that commemorated 25 years of electricity supply. The colour of the lights originally changed in response to sound. With more people now living in the city centre, the sound feature has been de-activated to reduce the cacophony of car horns, shouting and burn outs that it provoked late at night. The Illumicube was the inspiration for the creative project in a unit titled Design, Interaction and Environment in the Master of Digital Design that I taught at UC in 2012. The unit was run at the Make, Hack,Void (MHV) community hackerspace in Downer. Each of the 8 students made their own interactive cube that began with a common behaviour and added their own individual special property, exploring different materials and aesthetics of interaction and physical computing. The common behaviour was a sonic response to touch based on a capacitive sensor. Additional interactions included responses to temperature and movement to produce changes in shape, vibration, and colour. We also explored materials including paper, wood, metal, fabric, plastic, metal and ferro-fluid. 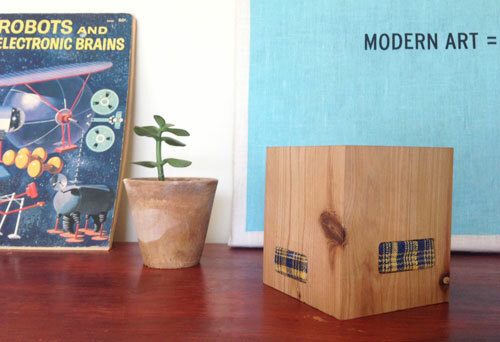 Timothy Dyers Animal, Azza Al Ghardaqa’s Mirror Cube, Coraline Kong’s Magic Crate, Paul Krix’s Shape Morphing Cube, Daniel Neville’s Do almost nothing Box, Alex Gray’s Accordian, and Ana Sanchez Laws personal meditation box. The overall concept was to create a sculptural installation by stacking all of the cubes together, but unfortunately we never got to the final stage of assembling it to find out whether the results would be more than the sum of its flashing, moving and beeping parts.